On December 10, 1815, former French Emperor Napoleon Bonaparte moved to Longwood House on the British island of St. Helena. He was confined there until his death, five-and-a-half years later. What did Napoleon think of Longwood? 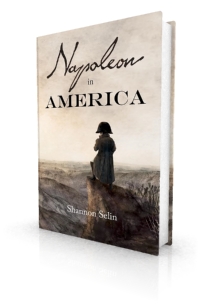 Napoleon arrived, as a British prisoner, at St. Helena in October 1815 with such little advance notice that there had not been time to prepare a secure long-term residence for him (see my post about Napoleon’s arrival at St. Helena). The island’s East India Company governor, Colonel Mark Wilks, recommended Longwood House – a rambling one-story farmhouse that was serving as a summer residence for the island’s lieutenant-governor Colonel John Skelton and his wife. Longwood lay on a windswept plateau about five miles from the island’s main settlement of Jamestown. It had the advantages of being isolated and clear of large vegetation, and thus easy to keep an eye on. 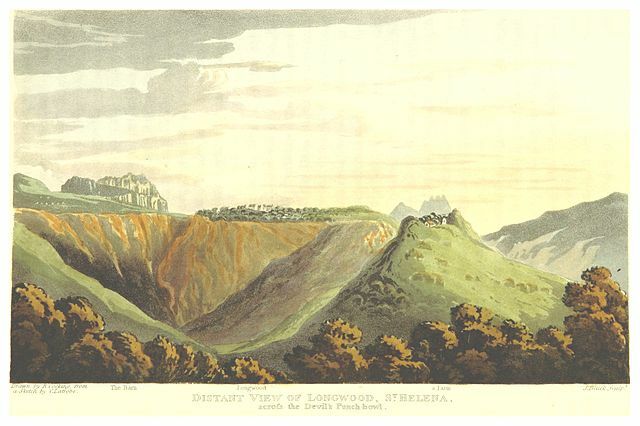 It was also near a plain called Deadwood, where the regiment guarding Napoleon could live. While Napoleon stayed at the Briars, carpenters and crew from HMS Northumberland, aided by soldiers, repaired and enlarged Longwood House to accommodate Napoleon, his companions and servants. On December 10, Napoleon moved in. At the entrance of Longwood, we found a guard under arms, who rendered the prescribed honours to the august captive. The Emperor’s horse…was startled at the sound of the drum; he refused to pass the gate, and it was only by the help of the spur that his rider succeeded in forcing him to advance…. Napoleon and his suite soon became unhappy with their new quarters. Complaints included the damp and stuffy rooms, a rat infestation, the lack of shade, and exposure to the wind. Conditions at Longwood became a constant source of irritation between Napoleon and St. Helena’s new governor, General Hudson Lowe, who arrived in April 1816. Napoleon thought he should have been offered the governor’s residence, Plantation House, an elegant, well-furbished mansion set in a beautiful park, like an English country house. 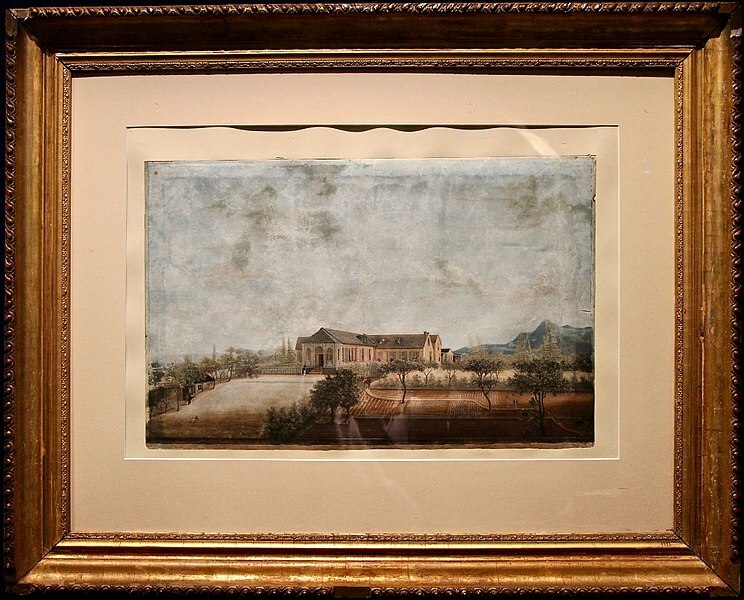 By January 1821, the new Longwood House was finished. [T]he Emperor, in spite of the disgust he felt at the idea of changing his residence, decided to go and become acquainted with the place which was destined for him…. He examined everything in the greatest detail, praised the good arrangement of the apartments, their size and their character as a whole, but found that his quarters were not well fitted for his use; he found that he was too far from his valets de chamber, whom he liked to have under his hand. According to the English custom, everything had been sacrificed to the master. Except for some garrets, which were over his rooms, there was not a spot near him where Marchand could be lodged. Napoleon died on May 5, 1821, in the original Longwood House. After going through a period of dilapidation, the house was restored and is now a museum owned by the French government. 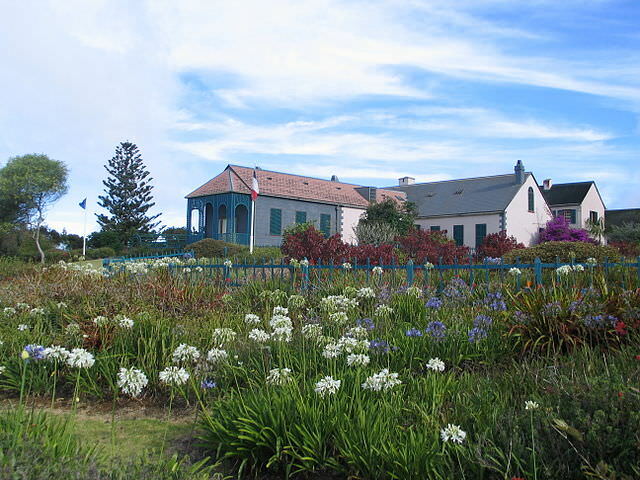 There is more information and photos of Longwood on the Saint Helena Island Info website. For some great photos of the bicentennial re-enactment of Napoleon’s move to Longwood, visit What The Saints Did Next. New Longwood House was destroyed in 1947. To read more about it, see John Tyrrell’s Reflections on a Journey to St. Helena. For a look at Napoleon’s expense account at Longwood, see the excellent article by Lally Brown on A Covent Garden Gilflurt’s Guide to Life. Longwood House is where the opening chapter of Napoleon in America takes place. You can read that chapter here. Louis-Joseph Marchand (Proctor Jones, ed. ), In Napoleon’s Shadow (San Francisco, 1998), pp. 343-344. Emmanuel de Las Cases, Memoriale de Sainte Hélène: Journal of the Private Life and Conversations of the Emperor Napoleon at Saint Helena, Vol. 1, Part 2 (New York, 1823), p. 16. In Napoleon’s Shadow, p. 369. Observations on Lord Bathurst’s Speech in the House of Peers on March 18, 1817 (London, 1818), pp. 96-97. Louis Étienne Saint-Denis, Napoleon from the Tuileries to St. Helena, translated by Frank Hunter Potter, (New York and London, 1922), p. 230. It is curious that he was not eager to get away from the rats. I think the rats and other drawbacks of Longwood House actually served Napoleon’s purpose of presenting himself as a martyr on St. Helena. If he had moved to the new house, built especially for him, it would have been harder for him to claim that the British were treating him horribly. Longwood is the most unhealthy part of the island. There is no water, no vegetation, no shade.... If the Emperor had been settled at Plantation House, where there are fine trees, water, and gardens, he would there have been as well placed as this wretched country will allow.